It’s been labelled as a curse of the modern game and in post-match discussions probably causes as much controversy as any other subject, and a great deal more than most. What am I talking about? Some call it simulation. 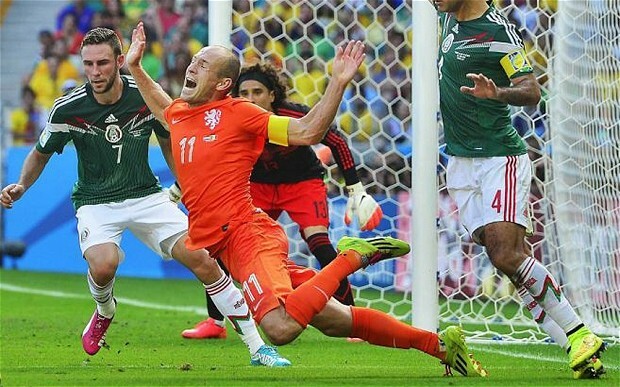 Others call it diving. For the purpose of clarity, whichever euphemism people choose to disguise it as, it is of course cheating. Flagging up the politics in La Liga. 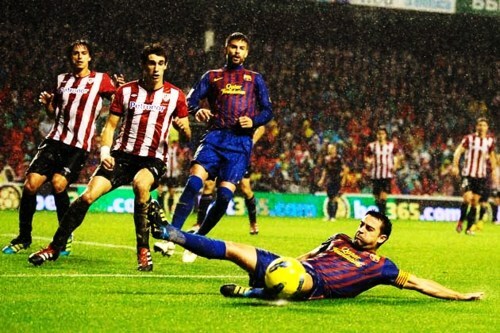 At the weekend Barcelona will entertain Atletico Bilbao at the Camp Nou. Nothing so unusual about that however. The clash has been an enduring La Liga fixture for over a century. This particular match up however looks likely to have more than a nodding acquaintance with the heightened political tensions across Spain concerning independence, particularly for the Basque Country and Catalunya. In the history of international football, there have been more than a few infamous games that have degenerated into some kind of warfare. The ‘Battle of Santiago when English referee Ken Aston vainly strived to officiate a running street brawl between Chile and Italy in the 1962 World Cup comes to mind. Others may cite the ‘Battle of Bern‘ in 1954. This game saw Brazilians and Hungarians carry their feud into the tunnel and reportedly even the dressing rooms. Then of course there was the World Cup qualifying games between Honduras and El Salvador that proved to be the trigger that fired up the simmering tensions between the two countries into the ‘100 hours war’ of 1969. It’s unlikely that Gibraltar’s entry into the world of competitive international football, as they face Poland, will lead to armed conflict, but the colony’s relation with Spain have hardly been improved. Micah Richards: Past imperfect. Present Possible. Future…? 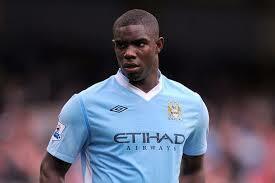 Micah Richards had the promise to be a star player at City for years to come. Amongst the furore of the more high profile Deadline Day deals, with Radamel Falcao joining Manchester United and Danny Welbeck shipping out of Old Trafford to join Arsenal, another move involving an England international player may have slipped under the radar, and escaped notice. Whilst Jim White was giving his masterclass performance juggling telephones, social media and outside broadcast reports, Micah Richards was on the move out of the Premier League to join Fiorentina in Serie A. Seeing a player with a limited future at his existing club, seek new pastures may not be particularly noteworthy, but when Richards followed fellow England international defender Ashley Cole to Serie A, it spoke of a sad situation where a seemingly exciting English prospect has fallen by the wayside. Whilst big money transfers kept the hyper-excitable Jim White fed with drama on Sky, there was one deal that even Harry Redknapp could not get over the line. The QPR boss is renowned for his transfer dealings but, although the Hoops had agreed a fee with Liverpool, signing Fabio Borini for the proved beyond even ‘Arry’s negotiating skills. All of this seems very strange on the surface as not only had the clubs come to an agreement, but Reds’ manager Brendan Rodgers had reportedly also made it abundantly clear to the Italian that his chances of playing this season would be severely limited as he was considered fourth choice, at best, for a striker’s position, behind Sturridge, Balotelli and Lambert. Such information however, appeared to do little to persuade the Italian to join the west London club. 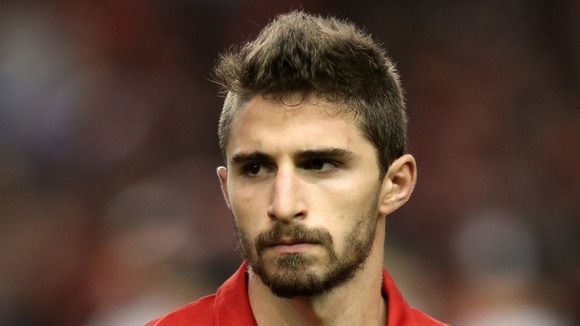 Borini was not keen to be rushed into a move to QPR.